Take advantage of Montans's/Monterra's versatility. Place your Montana/Monterra/GPSMAP 276Cx in your car dashboard or windshield with this automotive suction cup mount and take it on the road. 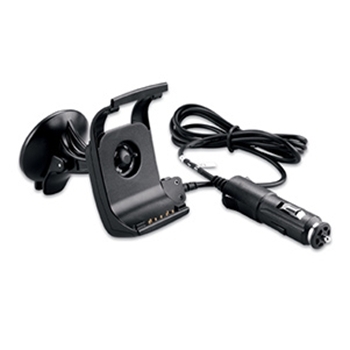 This kit includes a mount with an integrated speaker and a suction cup for simple installation. It also includes a vehicle power cable.